Garage sale staging may not be a secret to seasoned sellers with years of experience under their belts but for the newbies these tips will help you rid of unwanted household weight fast. Many garage sale success tips that you will find online will explain to you how to use garage sale signs, how to price garage sale items, what you can and cannot sell but the one critical point that is missing is how to set up the garage sale so it’s an ideal selling ground. Heck, I’ve covered just about every one of those topics over the years on the blog. Some of the best garage sale finds come from garage sales where the homeowner has taken the time to organize what they are selling by means of garage sale staging. This might sound odd to you but think about this for a second…when you sell your house or your car you want to make sure it is in pristine condition and is ready to sell. The same ideals can be applied to a garage sale. One of the easiest parts of garage sale staging is keeping everything in order and in one place. The Japanese got it right with their 5s methodology- Sort, Set in order, Shine, Standardize and sustain. One important aspect of garage sale staging never to forget is Safety. You have people coming on your property and if someone were to get injured you may have to contact your home insurance company to see how that will affect you as a seller. It may or may not but if you are concerned ring them up and ask. In the meantime keep clutter off the ground, put any garden hoses, extension chords and anything that may be a safety hazard out-of-the-way. 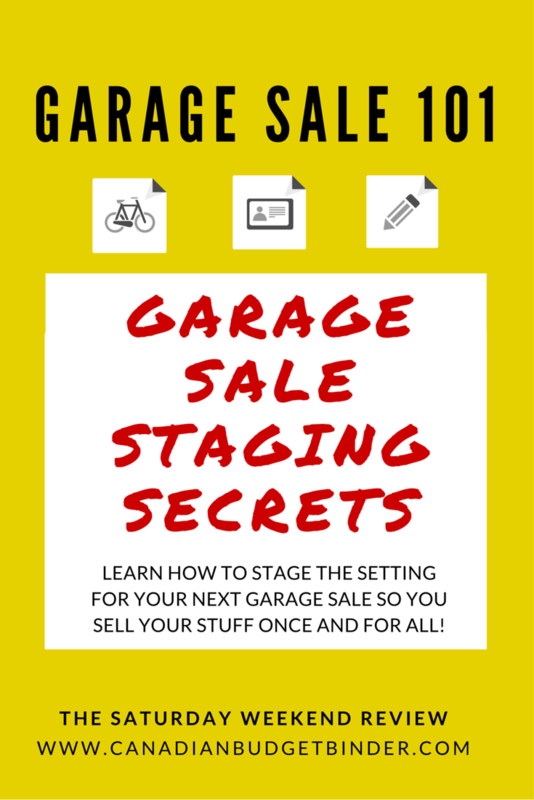 Setting up a garage sale is similar to selling your house which is why I want to talk to you about garage sale staging and why it’s so important in order to have a successful sale. Unless you want to haul your stuff back in the house at the end of a garage sale I’d suggest having a look at these garage sale staging tips that I’ve come up with since becoming fascinated with them over the years. As I mentioned some of my earlier garage sale posts have detailed critical aspects about the garage sale process but I’ve never touched on garage sale staging. What is garage sale staging? In a nutshell garage sale staging is properly placing and labelling the items you are selling in an organized fashion so that potential buyers swoop in and hand you cash. The worst garage sales I’ve ever been to are those that have everything thrown on the ground, without prices and dirty. Unless you are willing to give an item a rock bottom price you should make each and every product presentable. Keep in mind that a garage sale is not about getting rich it’s about getting rid of stuff. How does garage sale staging work? Once you have all the items you want to sell from your house your next task is to think about prices and presentation. Don’t forget that you need a stand-out presentation to get people to visit your garage sale as well. Consider this comparable to leading the people to the end of the rainbow where the pot-of-gold is but in this case it’s your garage sale. Before you even think about hosting a garage sale see if you have any friends who can lend you some tables to stage your items on. The last thing you want to do is toss the items on the ground forcing people to bend over or squat. Consider that you may have people who visit your garage sale that have health reasons that prevent them from getting down on the ground or bending over. If you don’t have any tables call your local church and ask if you could offer them some money to use their tables or rent them for cheap from a school or community hall. If you can’t find any tables at least be attentive to your customers and if you see them looking at an item chat them up to see if you can help them. You may find they ask to see something closer or have questions. You can also use cardboard boxes, water coolers, dressers, picnic tables, patio tables, kitchen tables, card tables to stage your garage sale but 8 ft. folding tables are King! If you look organized you’ll see more people stop by your garage sale rather than doing a drive-by and rushing off to the next garage sale. No one wants to buy your junk if you don’t value it as such. You may not need it or use it any longer but you know it’s worth something to someone so treat it that way. If you have clothes to sell please do not put them in a huge pile on a table or in garbage bags. Even worse don’t spread them all over the ground. You will end up donating most of it. You want to separate outfits if you have any and try to keep them together. The best way to showcase clothing is on a clothing rack especially if you have teen or adult clothing. Baby clothes should be separated by age, gender, season and sold by the lot for a good price. Negotiate if you have to just to get rid of the clothing. You’ll never make your money back on it so don’t get all hung up on how much you paid for clothing and how little your child used it. Make sure everything is folded nicely so if a buyer wants to have a look then can see what they are buying. You could even write on boxes all the info of what is in the box to move things along faster. Keep all the name brand clothing at the top for quicker viewing. If you try to sell baby clothing piece by piece I’d stick to higher-end clothing or new items with tags. If you have any shoes to display keep them together nicely on a shoe rack or a table-top. Have a chair available just in case someone wants to try them on before they buy them. Imagine going into the library and finding all the books scattered on the floor or jammed in boxes? You’d probably want to tear your hair out. Don’t let this happen to your customers when you host a garage sale. Everyone has a book shelf or you probably have a friend who does. If you don’t have a book shelf I’ve seen people use metal shelving or even stack-able milk crates to showcase books they have for sale. If you’re a savvy garage sale homeowner you’ll organize the books by category and keep series together. If you want them gone, go the extra mile to get rid of them. You want people to see that you are a welcoming homeowner who wants to sell their stuff. If you’re not approachable most people will shy away from talking to you which means potential missed opportunities to negotiate. Make sure you have garage sale signs around your property to direct people to your garage sale. Keep them fun but don’t make them too busy. All you want to do is get them to your house not show them how well you can colour. To drive people who tend to drive-by to your sale put all the hot items closer to the road so they can see them. Household furniture and home decor, gardening items and tools, appliances and kids stuff are hot! Keep any valuables displayed in front of you such as items worth money or jewellery. If you want to sell your stuff don’t showcase it as if it was sat outside all winter or dragged through the mud. I know not everything will be in mint condition but if you can get more money simply by dusting or a quick cleaning, it’s worth it. Another huge garage sale staging mistake is not pricing items which forces people to talk to you. Not everyone wants to talk to the homeowner who is selling. They want to read the price and hand the money over and leave. You can find garage sale pricing stickers at the dollar store or you can use masking tape and a marker. If you are the seller wear something that shows you are the garage sale owner so buyers aren’t put off trying to figure out who to pay. Sometimes have a little table set up with a money-box on it is better for customers because they know where to go or stand until someone comes to the table. Consider it similar to checking out at the cash register. Get in and get out. Don’t let buyers try to figure out who you are. When you are selling items that may be antique do a bit of homework before you sell any items. Not only will you find out what the item is worth so you can accurately price it but you can explain the item to curious buyers. The more you know about what you are selling the better it is for your wallet. It’s 2016 and newspapers are slowly fading away which is where most homeowners would post a listing for a garage sale. If your community no longer has a newspaper check to see if there is a monthly newsletter or weekly paper that gets sent out to homeowners. These are small print papers just to let people know what is happening in the community without all the huge expenses of a major publication. Most of these newspapers will have a garage sale section where you can advertise your sale. Other options are listing your garage sale on Kijiji where we find most of our garage sale postings when we are preparing our garage sale list for the weekend. Most garage sales happen on a Saturday but there are some that run all week or even on a Sunday. Gone are the days where you drive around the city aimlessly asking yourself if there will be any garage sale signs near me. Although garage sale signs are imperative to have as part of the garage sale staging process there are other options of getting the word out there. There is a garage sale website in Canada called “Canadian Garage Sales” where garage sales are listed free so you know where all the local garage sales are. There are also many garage sale site type Facebook groups popping up that offer users of the page to post their garage sale. If you belong to a church or organization that draws in masses of people find out if there is a community bulletin board that you can advertise your garage sale on. This is all part of the garage sale staging process. Once all the pieces of the puzzle fall into place watch the money fall back into your bank account rather than the second-hand shops who make money from your stuff for free. Don’t get caught without change to give your customers. Go to the bank the day before and load up on small bills and coins. How do you stage your garage sale? What frustrates you as a buyer when going to garage sales? Feel free to leave a comment and add your tips below in the comment section. This week starts another busy 5 weeks as I’m working 7 days a week again. This means I won’t be around as much as I’d like but it has to be done. The good news is that Spring is finally here and it’s starting to warm up outside. We love to be outside as a family especially going up to the park with our son which we did a couple of times this week. We also did the nosey neighbour walk as we toured around the streets to bash and slay houses or give them a thumbs up only to come home and do the same to our house. Everyone does it when they go out for walks, admit it. I think it’s a good thing though because it keeps us mindful of our responsibilities as homeowners when we see what others are doing or aren’t doing. I did manage to sweep out the garage so I can knock that job off my Spring to-do list. My wife is considering holding a garage sale in May so she’s been purging items around the house that she wants to sell or give away for free. We also talked about putting in a sandbox out back for our son this summer too. The problem is finding the time to do anything but by then I should be down to fewer hours at the one job. We need to get our fence done this summer too but I’m afraid I may be footing the bill for the entire project although I will still approach the neighbours. The one side is leaning over because it wasn’t maintained on their side. The other sides are on their last legs but still standing although we might as well replace it all and be done with it. That was my exciting week. Just in case you’ve missed any of my blog posts this week I will share them all below. If you are looking for past Saturday Weekend Review posts scroll down to the bottom of this post where I will list up to 5 previous weeks for you to read. If you have a question that you would like to ask Mr.CBB fill out the Contact Mr.CBB form on the blog home page and I’ll do my best to reply to each one. If you want to share a story via a Fan Question please ensure that there is minimum 500 words and lots of details…we love details! I’m more than happy to chat via email to bring your story to life. New: If your story submission gets chosen and published you will be entered into a yearly draw for a $25 Gift Card or $25 CDN via PayPal if you are from the USA. Right now CBB is posting Tuesday (Grocery Game Challenge), Thursday (Personal Finance Post), Saturday (Personal Finance and Weekly Wrap-Up and a Frugal Recipe on Sunday! Top performing CBB Post this week : How much should my Grocery Budget Be? What should your retirement savings plan look like? You got WHAT for HOW Much? Saving money while grocery shopping is essential in the CBB family and that’s why we share our grocery shops every week in The Grocery Game Challenge . Join the Budget Brag Challenge 2016 and WIN!!! What I love the most is when my fans share their amazing shops with me whether it be groceries or other deals they find at a garage sale, online or freebies! In 2016 if you send me your Budget Brag you will automatically get entered into a yearly draw for a surprise gift card. If your Budget Brag gets chosen you get an extra ballot! So start sending in your brags with a photo and tell me about your deals. If you are from the USA and win I will PayPal you the money in CDN dollars. Open to Canada and USA only. 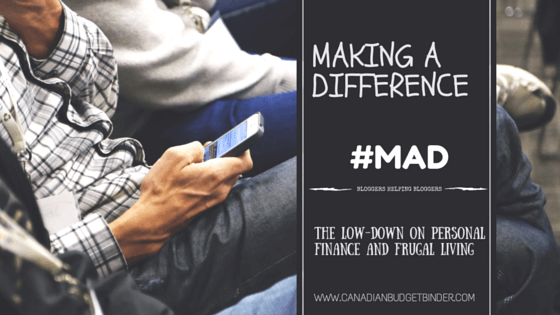 Email me at canadianbudgetbinder@yahoo. (ca) < remove brackets) or fill out my contact form by Friday each week to have your brag considered for the Saturday post. I have a Steal of a deal for all of you this week. Imperial margarine 3lb box is a regular price of $7.49 ea BUT bought 3 boxes for $1.99 each. 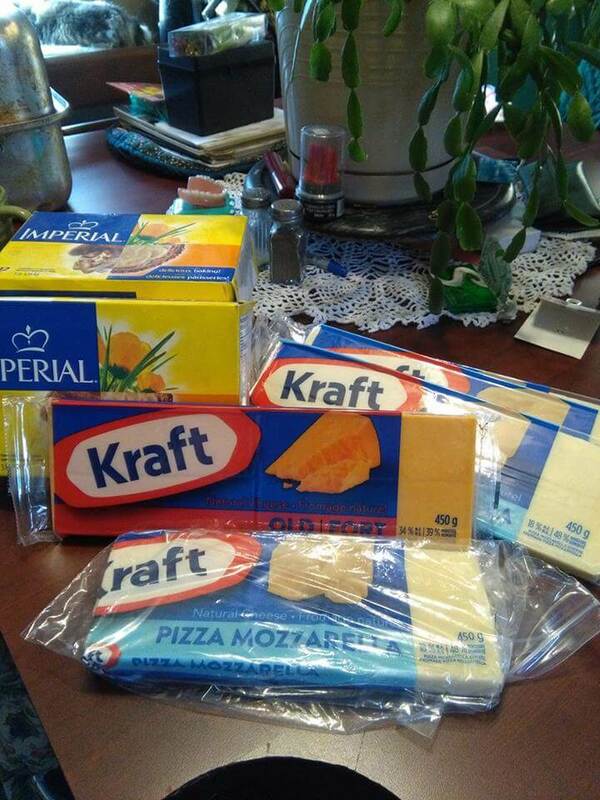 Kraft 450 gr blocks of cheese are regular $10.49 each BUT I bought 5 for $3.99 each. Total reg price for all is $80.92, I paid $25.91 for a total saving of $55.01. Not too shabby at all. Welcome to the 2016 Making A Difference series! Join the networking movement of Personal Finance Bloggers around the world. If you are a personal finance blogger (anywhere around the world) and would like your blog to be MAD featured simply drop me an email and I’ll explain the process to you. I’m currently booking for May/June 2016! This is my way of giving back to the personal finance community through networking and sharing knowledge with my fans. 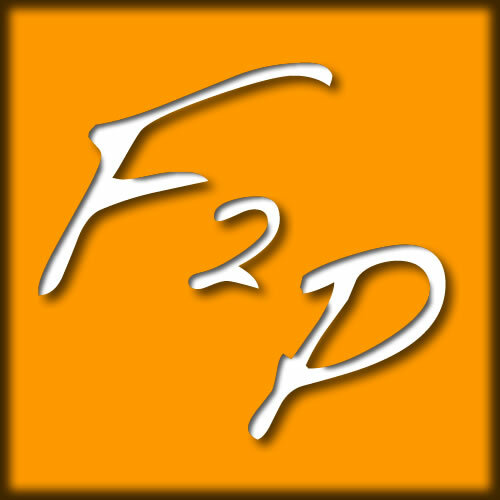 Today it is my pleasure to share with you the blog, Free 2 Pursue (F2P). I’m a person in search of all that life has to offer. No more, no less. I chose to “retire” from corporate life in my mid-thirties because it wasn’t in line with what I wanted anymore. I was a workaholic who didn’t appreciate life the way one should. I didn’t take care of myself, I was constantly preoccupied, and didn’t appreciate the people around me. I was too busy with what doesn’t matter to grasp the fact that I wasn’t paying attention to what does. You could say I was slowly turning into a member of the walking dead. I realise now that so many of us live this reality and that’s why I launched Free to Pursue (F2P). The F2P blog is about how you can live your life on your terms—whatever they may be—and to do it sooner than later…despite the messages of personal obligation society bombards us with every day. My blog offers evidence that “putting in your time” at a job just to collect a paycheque—because it’s the right thing to do, because you can accumulate more “stuff” or because you’ll qualify for retirement at some distant point in the future—is not the only means to reach the goal of living a full and satisfying life. I know that we can be free to pursue what we want in life and have the means to get there with less effort than we might think. I explore what we can do to live the life we know we want but don’t always allow ourselves to have for various reasons: fear, doubt, debt, culture, peer pressure, family obligations, ego, uncertainty, scarcity. I do this by sharing my own experiences, victories, failures and research on these subjects as I, just like you, keep learning how to live a better life. I hope you enjoy F2P and would love to hear what you think. Food and grocery shopping are relevant to us because food is a large part of the budget which people struggle the most with. We all have to eat to survive but just because we have a budget doesn’t mean we can’t eat delicious home-cooked meals that are drool-worthy. If you are someone who would rather buy convenience foods consider cooking homemade meals or baking from scratch. Not only will you save money but you will be proud of what you’ve accomplished and you’ll see that from the smiles on those you feed. For the past 2 years I’ve had a second Facebook page called The Free Recipe Depot where I exclusively share recipes from Food Bloggers around the world. I also share recipes on the blog on Sunday either made by home cook and mom Nicola Don or myself. 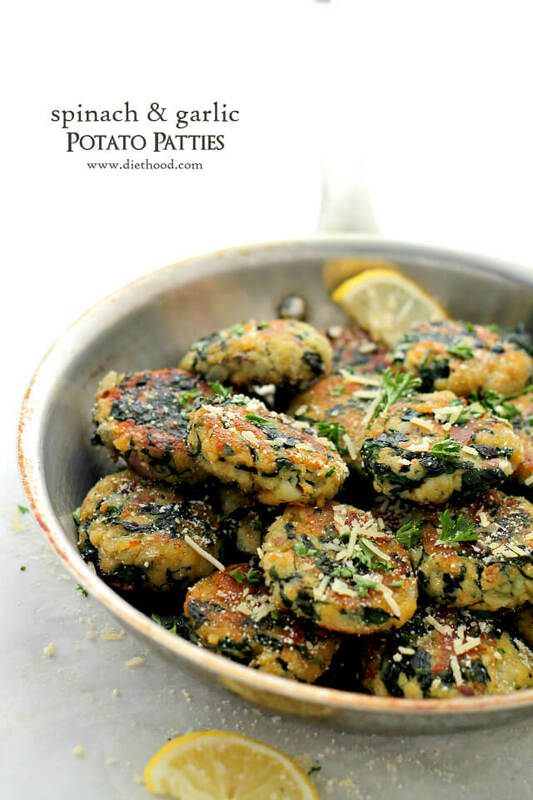 This week our Top Recipe Pick goes to Katerina over at Diet Hood for these amazing looking Spinach and Garlic Potato Patties. I found this recipe posted by a fan on my Facebook page and was drawn to it as it’s a recipe I know I would enjoy. I can’t wait to try this one. I’m a huge fan of pallet planters or any type of planter made from leftover materials which I did after I built our deck. 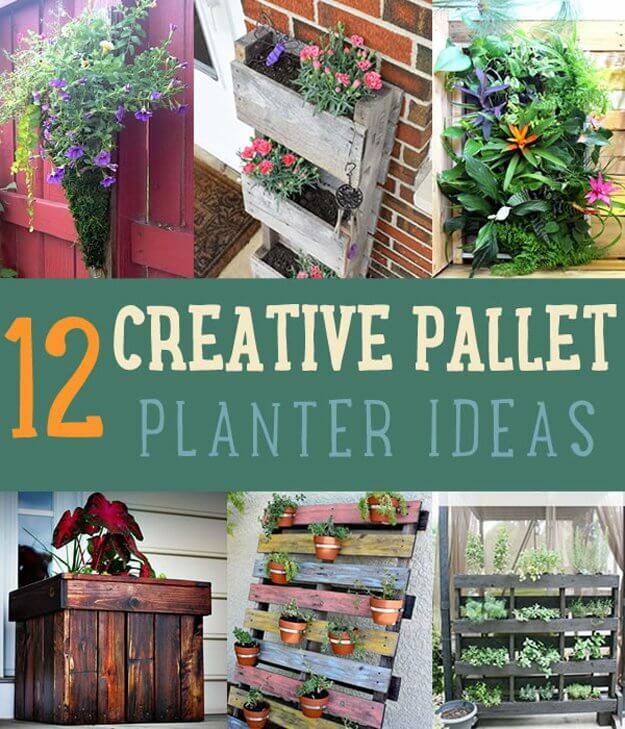 I found this awesome website called DIY Ready where they share 12 Creative DIY Pallet Planter Ideas for Spring which I think you will love. You don’t have to spend a fortune buying pre-made wood planters when you can make them at home practically free. Every week I will pick a blog post of the week from around the web that I found interesting and want to share with all of you. Please head on over and give the post a read and let them know that Mr. CBB sent you if you comment. Thanks. Editor’s pick (That’s me Mr.CBB) This week I read a post by Matt over at Distilled Dollar who wrote an interesting post about the Four Phases of Financial Independence. Mastering personal finance includes understanding our own emotions and beliefs. The fourth stage is Mastery. Every week I get thousands of people visit Canadian Budget Binder because they did a search online and found my blog. Any spelling errors below are because I share with you the exact way they typed their search engine query to land on my blog. Some of them are serious and others are meant to have a laugh. How to make $140 Canadian Quick– I nearly spit my tea out. Sounds like someone needs cash fast and a specific amount. Too bad it didn’t say $140.50, that would have made the Hall of CBB Fame. Using Stag Party to hide money from the government– Got me on this one. Best way to sell books at a garage sale– Cheap! Just get rid of them. I am $10,000, have drinking and smoking issues and lost my girlfriend. What should I do?– You should start budgeting, quit spending money you don’t have, work on reducing or quitting drinking and smoking and worry about yourself first before love. That’s all the fun for this week, thanks for dropping by. Subscribe to the blog by entering your email address on the home page of the blog. Once you’ve subscribed you MUST activate your subscription via the email sent to you from Canadian Budget Binder. Open that email and click YES Subscribe me. Don’t forget to Follow me on Social Media by clicking any of the Icons below! My SIL has a garage sale every 2-3 years at her place, I’m sure if we had things to sell she would do it for us. We usually just donate to the Thrift store here. My late mother-in-law used to love garage sales and flea markets…drove the father-in-law batty!! Colleen got herself some nice deals with the cheese and margarine!! I’m so happy she got the deals!! Those pallet ideas do look interesting and well worth trying!! Have a good weekend and try to get out and enjoy some of it!! I plan to try to clean up my raised beds here but will have to walk along the top of the walls as the grass is still too wet to walk on. We may end up having a garage sale this year with the amount of baby stuff kicking around our house. My wife likes the garage sales too and so do I. I’ve found some great deals over the years.